Wouldn’t it be great if you could find a way to celebrate this winter and holiday season month after month without breaking the bank? If so, you’re in luck thanks to some pretty awesome monthly winter subscription boxes. Whether if you’re looking for new wines, winter clothing and accessories, or even some great ways to keep yourself warm and your belly full, there’s a monthly box for that! So with that being said, let’s jump straight to the listing! Here are the best winter subscription boxes that you must subscribe to this season. Plus, there’s even a few pretty awesome coupons and deals that’ll be a crime if you didn’t take advantage of them! How much is it: $49.99 a box. What’s inside: Get a seasonal box of full-sized premium beauty and cosmetic products as well as other popular lifestyle items. It’s literally the monthly box that all over Instagram and Snapchat! Coupon / Buy Now: Get $10 off HERE with the code FAB10. What’s inside: Time to keep those feet warm with some stylish, color, and fun name brand socks delivered straight to your door. What’s inside: Get 1 or more books based on your favorite genres delivered straight o your door. Easily our favorite book subscription boxes out there today! 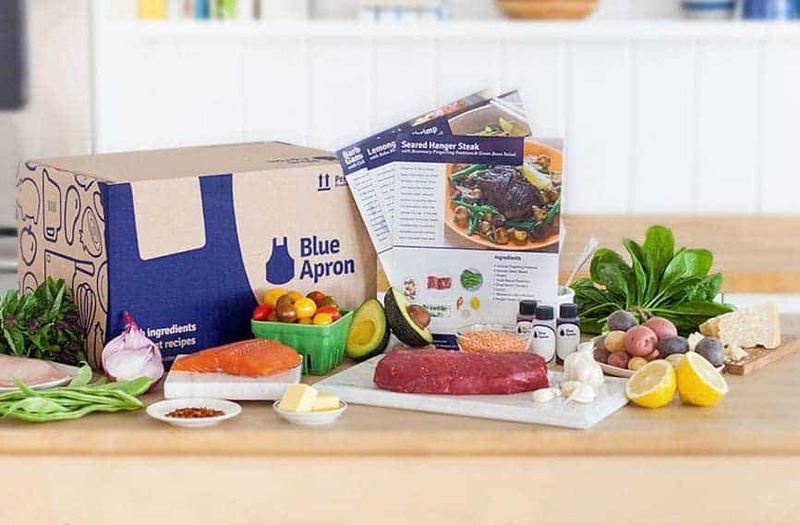 What’s inside: It’s time to cook yourself some delicious comfort food to keep you cozy this winter, and Blue Apron is here to help. Every week, you’ll get fresh, pre-measured ingredients and recipes that you can turn into some delicious meals. How much is it: $24.97 – $29.97 a month. What’s inside: Get new, unique, winter-inspired teas as well as a steeping guide delivered straight to your door every month. Best of all, if you hate the tea that you received, you can get it replaced in your next month’s box. Coupon / Buy Now: Use the code URBAN$10 to get $10 off HERE. How much is it: $20 for 3 month. What’s inside: It’s time to act on those New Year’s resolutions! With Bulu Box, you’ll get a box of 4-5 new healthy and nutritional supplements and weight loss product samples every month. Coupon / Buy Now: Get free shipping HERE. Thanks for reading and hopefully you find the best winter subscription box possible that fits your overall needs and lifestyle.